CNC Machining - AQUADEM s.r.o. Aquadem, in cooperation with the suppliers, provides finishing operations, such as milling of the burnt parts and turning of various rotating parts for the completion of products. The highly accurate manufacture according to the instructions in documentation is priority; if required, the product is available including 3D-measuring and the respective measuring protocol. Aquadem CNC machining centres are able to work with maximum precision so that the most demanding requests of the customers are met. In terms of capacity Aquadem is able to handle any requirement, from small batch orders to long-term cooperation and large-scale volumes of parts. 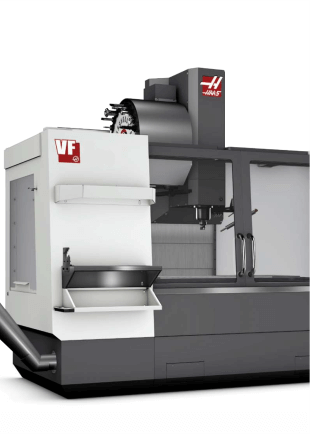 On the vertical machining centre HAAS VF-3SS with the CNC rotary separating table, travel tracks (x-y-z) 1016 x 508 x 635 mm.